Ural Mountains are a range of mountains that lay from north to south from the west part of Russia. It precisely starts from the coast of Arctic Ocean to Ural River and northwest part of Kazakhstan. According to the map, the Urals are considered as a border that separate Europe and Asia. 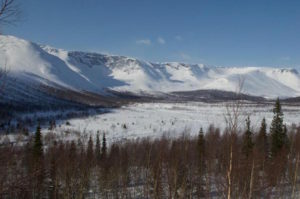 Moreover, the Urals are categorized as a narrow mountain range. This is because their widest point is only about 200 km. Furthermore, they range for 2,400 km long. Ural mountains are home for many Siberian animals, like brown bear, elk, fox, lynx, sable, squirrel, wolf and wolverine. Moreover, they are also a place where many rivers, deep lakes, forests and steppes. (Also read: animals that lives in Siberian tundra and sweet facts of Siberian cats. Those are short information about Ural Mountains. However, the Urals do not let the story end there. There are still 5 surprising things in Ural Mountains that await us. Ural Mountains are not only the place for ecosystem, but also minerals, oil and gas. 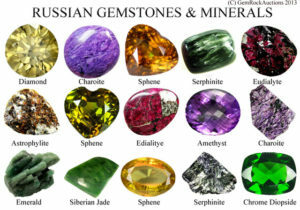 The Urals are included in one of the richest mountains in the world, in term of minerals. They contain approximately 48 kinds of valuable ores and minerals. East part of the mountains is rich in abrasives, chalcopyrite, chromite, gold, magnetite ores, nickel oxide, platinum, and as well as in bauxite, coal (Chelyabinsk Oblast), fireclay and talc. Meanwhile, the western part contain deposits of coal, oil, natural gas and potassium salts, like bituminous coal and lignite. Precious gemstones that have been mined for years include emerald, amethyst, aquamarine, diamond, jasper, malachite, rhodonite and silver. Kungur Ice Cave also has another name, which is “never-ending winter.” The name was given as it contains ice that does not melt, even in hot summer. Due to this, the place has become the most popular tourism attraction in the region. 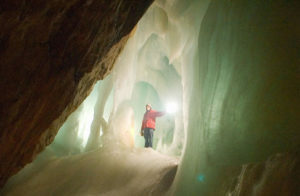 Kungur Ice Cave is a karst cave. There are 48 grottos in the cave and the highest of which is a grotto of Geographers with the size of 50 thousands cubic meter. The cave is 5,700 meters long and only 1,500 meters of which are available for visitors. The cave’s temperature is close to zero degree. It is never more than -2 or -3 degrees in summer, while it is usually below -20 during winter. The coldest part of the cave is at the entrance. There are many mysteries surrounding Ural Mountains. One of them is the mystery of Tunguska explosion. The event took place on June 30, 1908 in the area of Podkamennaya Tunguska River, precisely in Central Siberia and about 620 miles north of Irkutsk town and Lake Baikal. The explosion, that had the explosive force of a 15-megaton nuclear weapon and is assumed to be 1000 times more powerful than the Hiroshima bomb, lighted up the skies of the Northern hemisphere for days after the incident. Moreover, it flattened surrounding trees and there is no tree grows on the area up to date. There is still no plausible explanation of the cause of the explanation that is proven to be 100% true. However, a group of scientists from the University of Bologna in Italy suggested that Lake Cheko was a result of such explosion. Another mystery is the discovery of ancient nano structures found scattered in many places around the world, including Ural Mountains. In 1991, extremely tiny, coil-shaped artifacts are found near the banks of Russia’s Balbanyu, Kozhim, and Narada rivers. The discovery was triggered by geological research that related to gold mining in Ural Mountains. Many scientific theories find that the discovery is at odd as the age of the objects is considered too old to explain that such technology existed at that time. 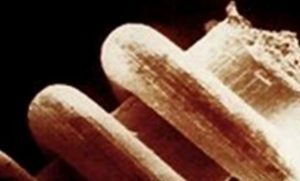 Scientists continues debating over discovery of coils, spirals, shafts, and other unidentified components to this day. In 1959, 10 experienced ski hikers went up to Ural Mountains. Precisely at the east side of Mount Kholat Syakhl, which means the mountain of the dead, 9 of them died. Meanwhile, the other one survived just because he, Yuri Yudin, fell ill and went back to Vizhai. After Yuri’s retreat, based on their record, the nine hikers continued their journey and faced snowstorm. Instead of going over the pass, they went up to the mountain of the dead and set up camp there. Then the record stopped there. Insisted by the family of the hikers, a search was carried out for months until nine dead bodies were found, all of them were in distinctive condition. 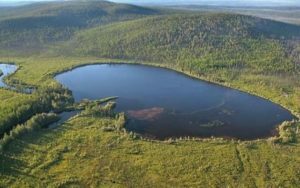 Those are 5 surprising things in Ural Mountains. You can also read things worth to know about Caucasus mountains and endemic animals living in Caucasus mountain.